I believe that I got this from Mo's collection when he passed away. It is a beautiful piece of wood and I would like to figure out who made it. There are no markings, or decals and I got no details when I obtained it. I have tried to capture the wood working techniques used if you have any ideas let me know. 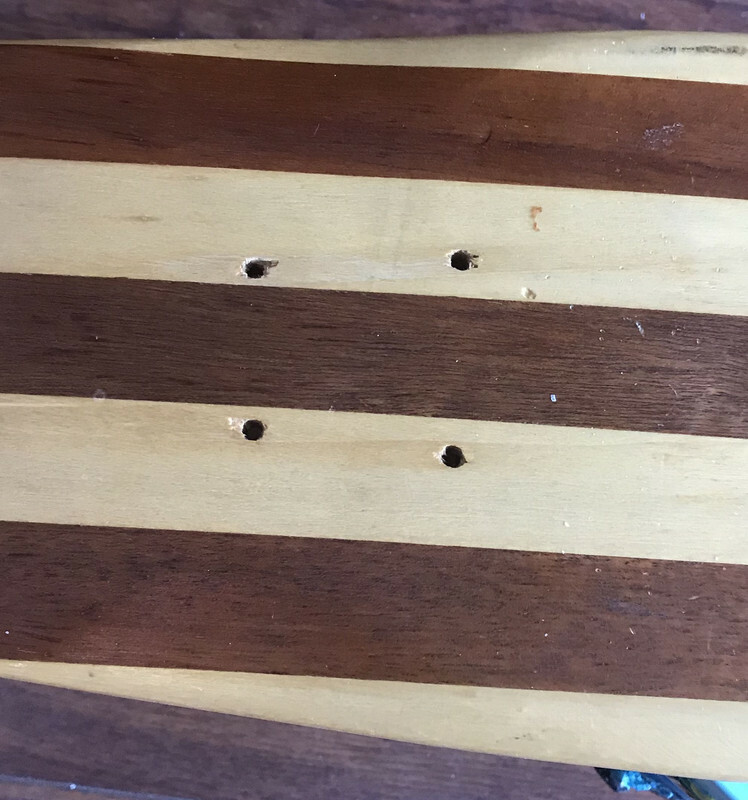 I've received some feedback that this may be a homemade board, and that the truck holes look like Makaha. this may be a home made board, but there is a tremendous amount of skill put into it for a one off. I didn't do a great job capturing that skill, too bad. 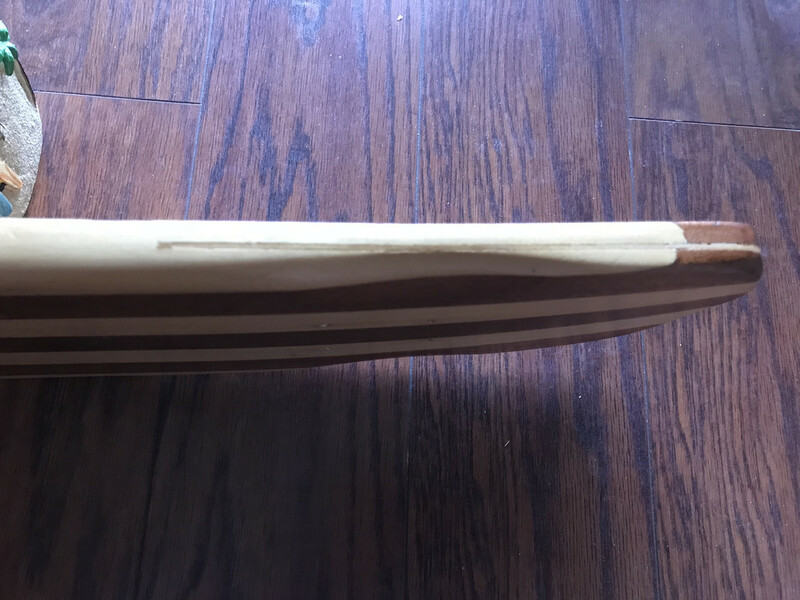 The biscuit joinery in both ends and the overall rocker, with the wheel wells smoothly going into the overall flow of the shape of the board and the kick tail all incorporated into one continuous flow. I don't collect much from this era, but I would like to set this one up and do it as correctly as possible just because it is such a beauty. the few dents and dings merely add to the character. Well an old pal of mine may have come up with the answer: a Jordy model Makaha??? 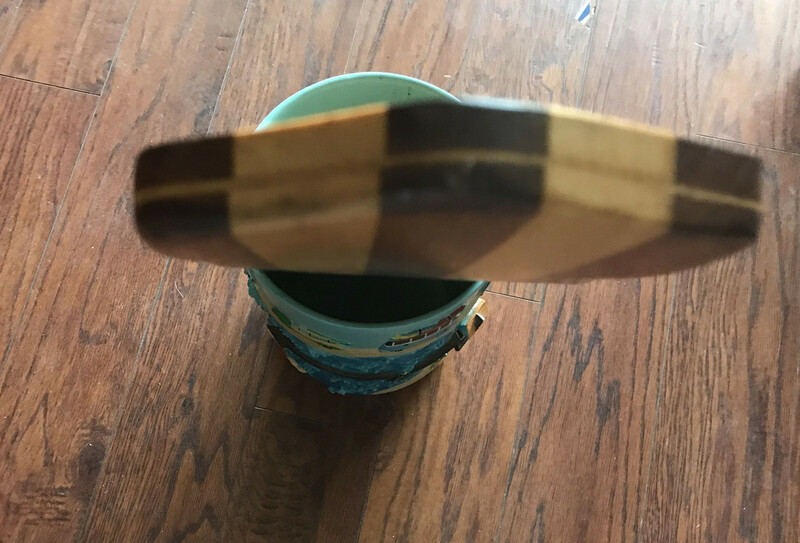 I think that this is close, but it appears that this is a little wider but it is the same length..
It’s a cross between a Sims Taperkick and a Benjy Board. You know what? That is what I thought. I was looking at the Benjy boards posted lately and then 300 posted up a sims that he got next to another sims that he already had hanging and thought about this one that has been sitting in the corner for a long time. here is another pic that I found today. 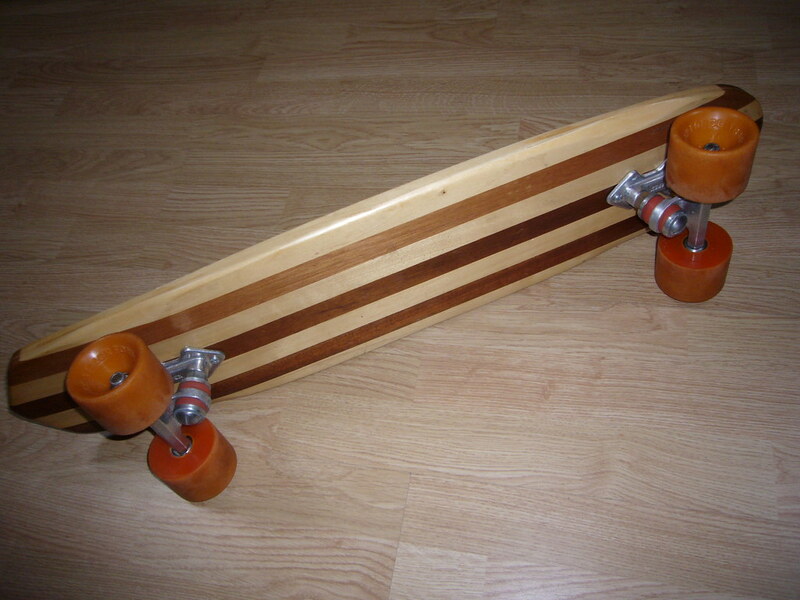 It looks exactly like the one that I have but the poster says that it is a home made board, but the joinery and details are the same as the makaha and could this be the same board as I have? That one is a solid board, yours has that ply layer in the middle. I would say definitely manufactured not a home made deck. I agree that this is a manufactured board. the last pic of the board that I think looks like mine does have the ply in it too. Its not a continuous ply like plywood, but a biscuit joint on each end that holds the individual strips in place. Looks like high school woodshop? I think it was manufactured. 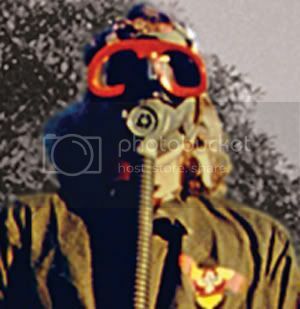 Abdul Ben Hassan. His brother, Omar, is a skater who's not afraid to snake.